This book is a little different from most board books, in that it starts on the front cover and continues right through to the back cover. 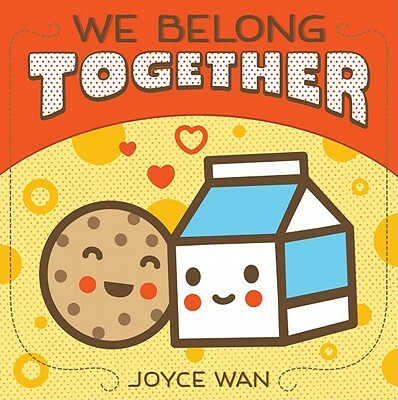 It is a little book about us belonging together, like many examples of pairs from the book. 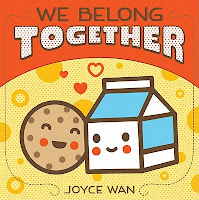 Some of the pairings are milk and cookies, mittens, peanut butter and jelly, pencil and paper, bacon and eggs, fork and spoon. It is a great little book that children will ask to have read to them over and over again.